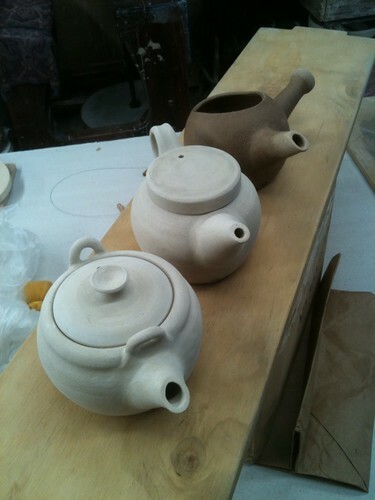 These are my first 3 teapots drying out before the bisque firing. The first with a deep lid that fits in a gallery with lugs for a cane or wood handle, the second with the lid fitting over a lip with a pulled handle. The last one is an open teapot for green tea with no lid and side handle inspired by one Simon Leach made.